This post is sponsored by Vagabond House. I was provided some of the materials for this post, but the opinions are my own. I'm super excited about today's post. Have you ever heard about Vagabond House? When Amy from a Nest for all Seasons contacted me about doing a sponsored post for Vagabond House, I'd never heard of them before. I looked them up, and I couldn't believe how GORGEOUS their products are! 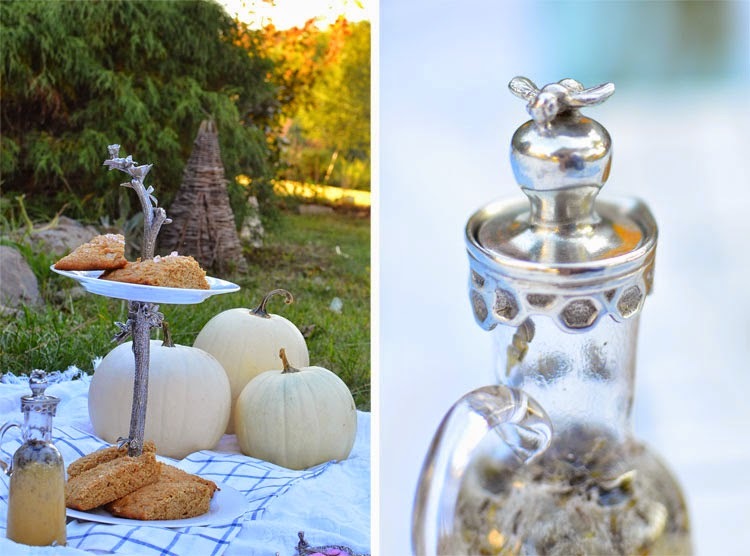 Vagabond House specializes in handcrafted pewter tableware, and after being able to see their products in real life, I can honestly say that their products are heirloom quality. There are so many beautiful items to choose from too! Each of the Nest contributors were given some items from different Vagabond house collections. 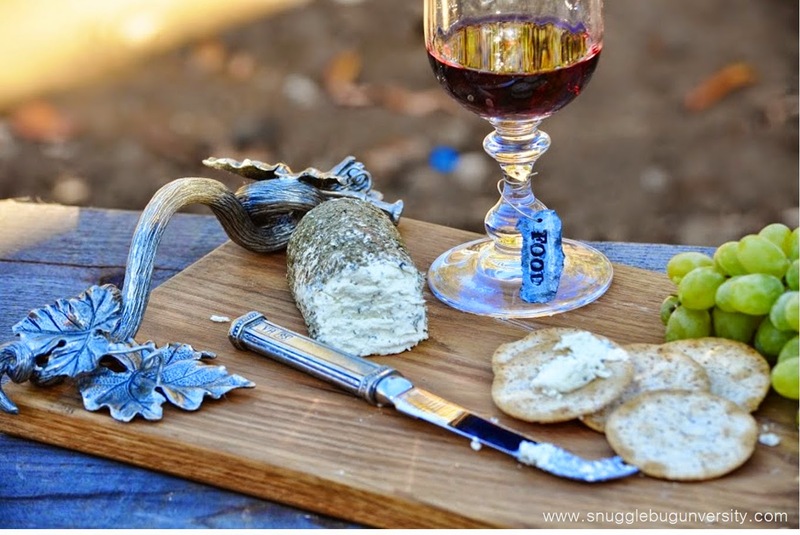 Vagabond house sent me some beautiful products from their Harvest Collection: this lovely autumn vine cheese board, this leaf pewter handle cheese knife, and these lovely corn napkin rings. Aren't they stunning? 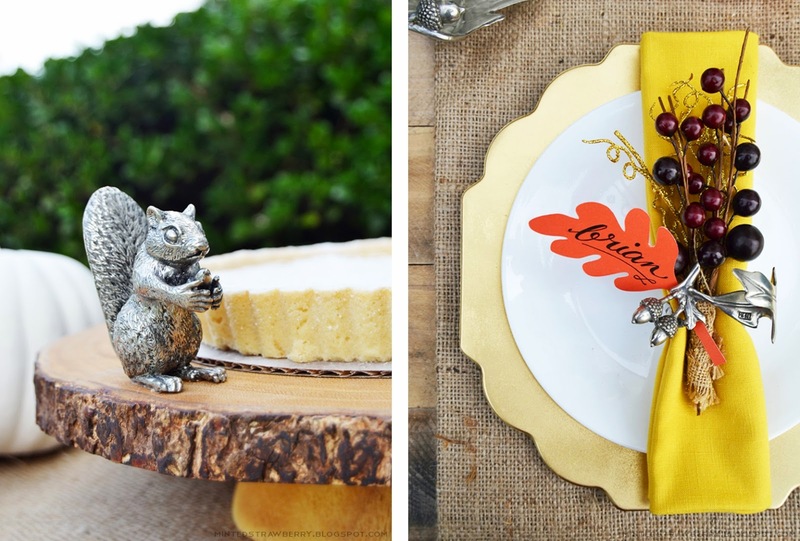 Could they be more perfect for Thanksgiving or a fall get together? I live in an area know for it's wineries, so when I think of fall the first thing that comes to mind is the harvesting of grapes and the beautiful colors of grapevine leaves changing colors. I made two types of wine charms. For the first, I set of charms listing things that I was thankful for. 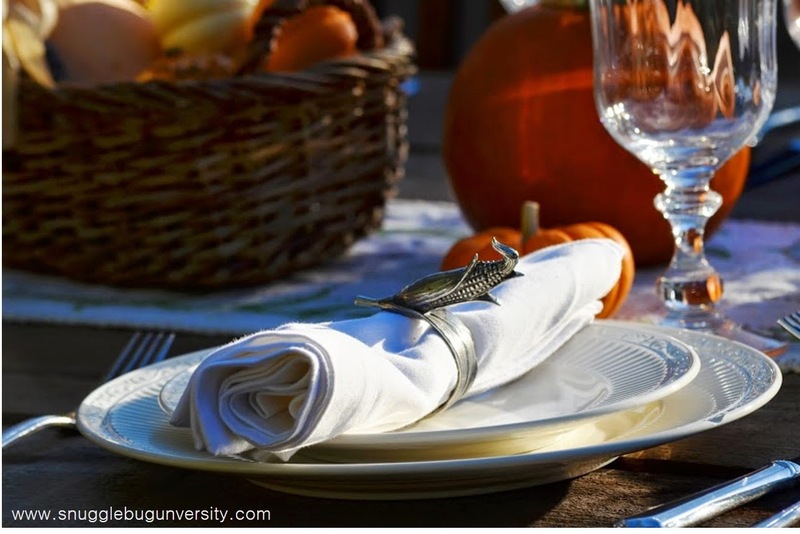 Perfect for Thanksgiving, right? The second set I used buttons to make circular charms stamped with assorted shapes such as bees and flowers. Don't the charms look like they could be real metal? They aren't! That's right, these faux metal charms are super easy to make and you only need a few things. 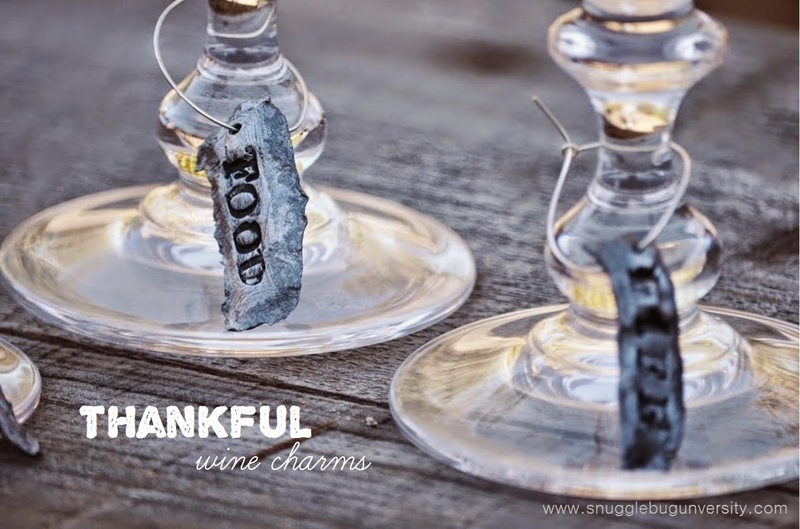 Want to make your own wine charms? Keep reading for the full tutorial. a rolling pin or dowel for rolling out your clay (remember that anything you use should be set aside for clay--don't use it for food afterwards). Alright, let's get started. Roll out some polymer clay. 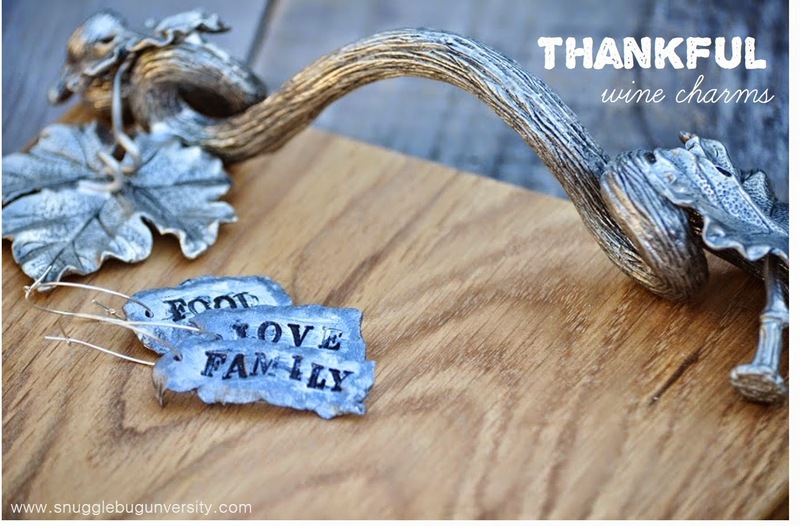 For the thankful charms I cut out narrow pieces and poked a hole for the wine charm ring to go through. I used rubber stamps to stamp letters onto the clay. I also used buttons to stamp on shapes. I used my fingers to rough up the edges. I baked the clay pieces according to package directions and let them cool. Then it was time to paint! I found it was easiest to mix a little black into silver metallic paint, and paint the indented area first, as well as a few spots on the rest of the charm. Then I painted the rest of the charms with the silver metallic paint, allowing the darker color to show through in some areas, especially in the indented areas. Then it's time to string the charms onto the wine charm rings and put them around your wine glass. Easy, right? 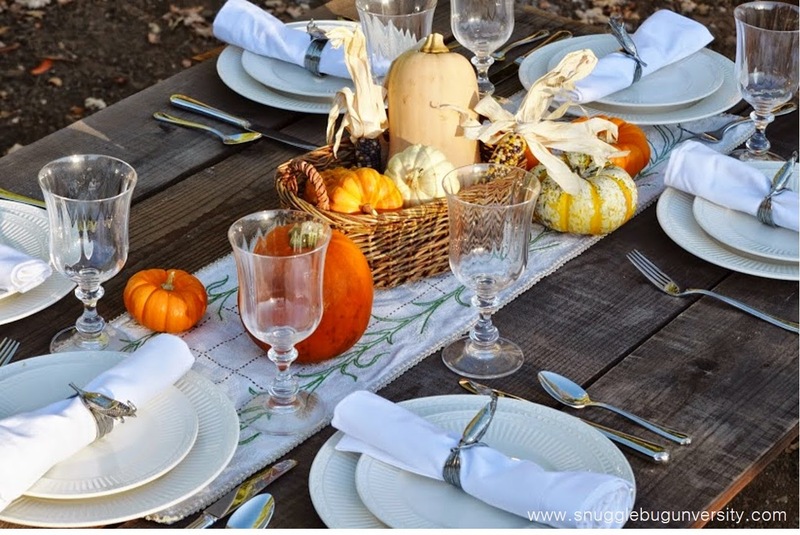 Aren't they the perfect addition to your thanksgiving table, and don't they compliment the Vagabond products well? Much thanks to Vagabond House and Amy for making this post possible! Happy Fall everyone! 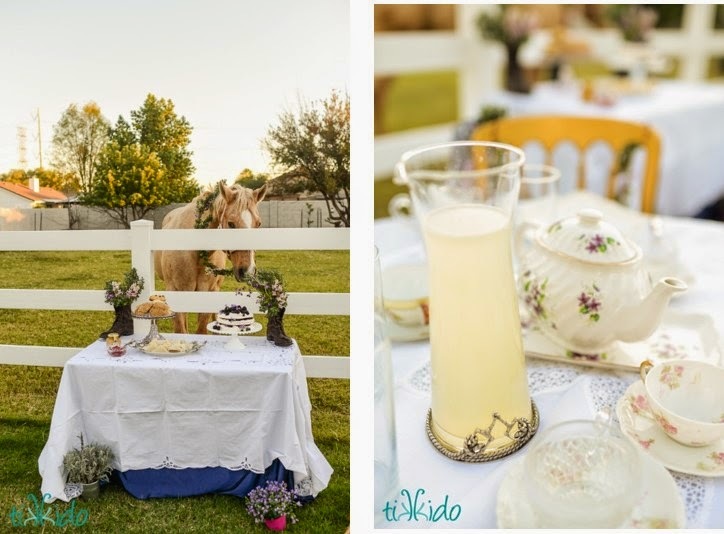 I hope you enjoy these great DIYs and this beautiful eye candy from Vagabond House! just beautiful Jill!! I love the colors!! ...and I totally agree that Vagabond is heirloom quality! !